First things first - you need to try the orange juice sold by any of the vendors in the Djemma el Fna! It’s the most amazing orange juice ever, squeezed fresh from blood oranges and cheap, cheap, cheap at about 35p a glass. Secondly, let’s clear something up. 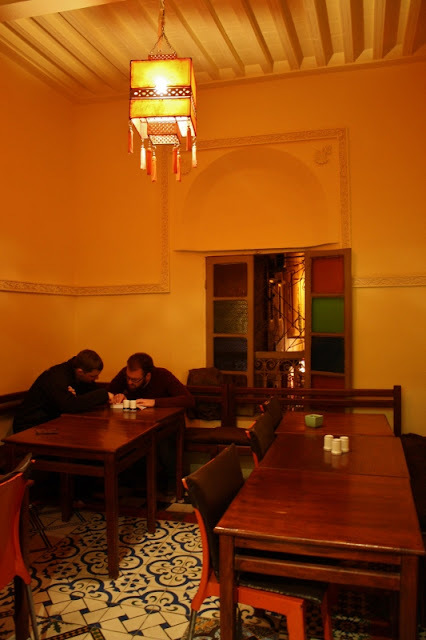 There are actually two branches of Earth Café in Marrakech. Apparently there used to be one in Essaouira but this has now closed and been replaced by the nearby Shyadma’s, also vegetarian. The two Earth Cafés are fairly similar in terms of their food offerings, but one branch, in Riad Zitoum el Kedim, is entirely vegetarian/vegan and the other, in the parallel street Riad Zitoun Jdid, serves both vegetarian and chicken dishes and can be seen in the photo below. I ate at both branches of this restaurant during my time in Marrakech and was thoroughly thankful for their existence. Both were rather quiet with a laid back ambience and the staff were extremely friendly and welcomed us with huge smiles and a non-pushy nature, which made for a nice change! 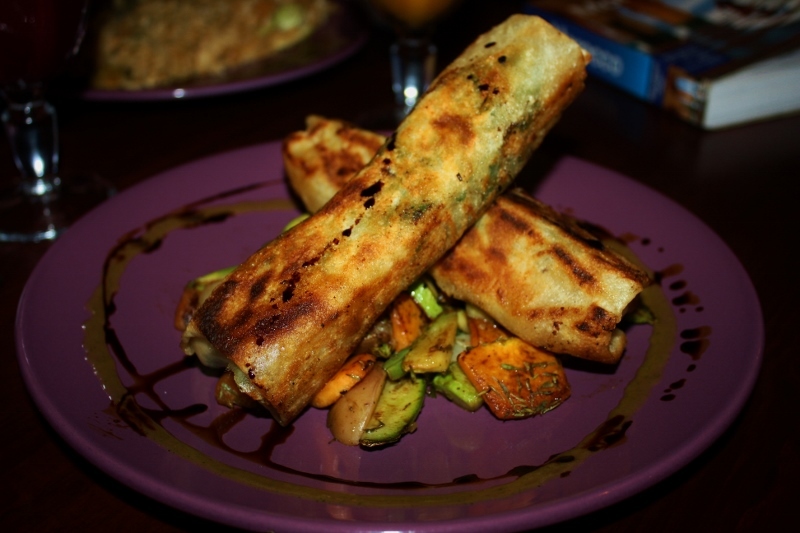 There is a reasonable selection of dishes on the menu including veggie burgers, spring rolls, filled filo pastry dishes, rice or noodle stir-fry. One thing I will say is that there are very mixed reviews of these restaurants online and it must be remembered that this is Morocco and it shouldn’t be compared to other restaurants around the world. 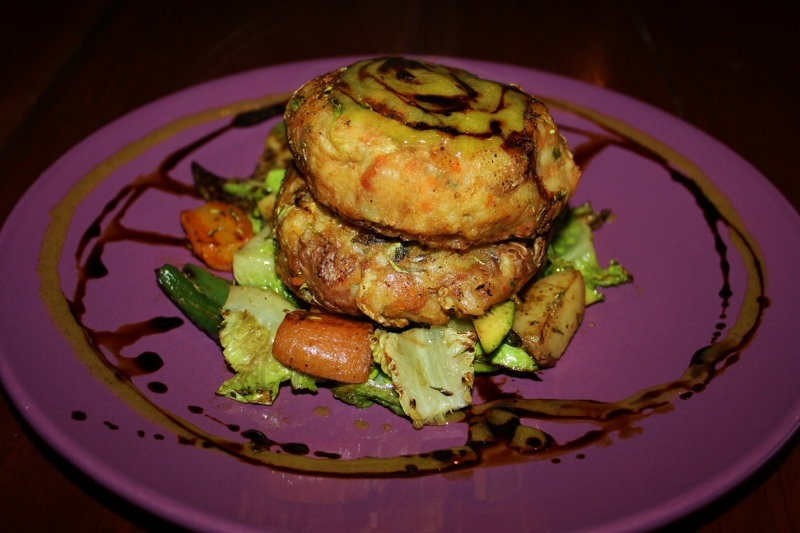 Compared to other options in Morocco, it provides vegetarians, and especially vegans, with a decent, healthy, filling and nutritional meal. I found the food to all be extremely tasty but every dish comes on a bed of the same stir-fried vegetables, with the same mango and balsamic sauces drizzled around the edge so if you do eat here more than once, the variation in flavours isn’t huge. 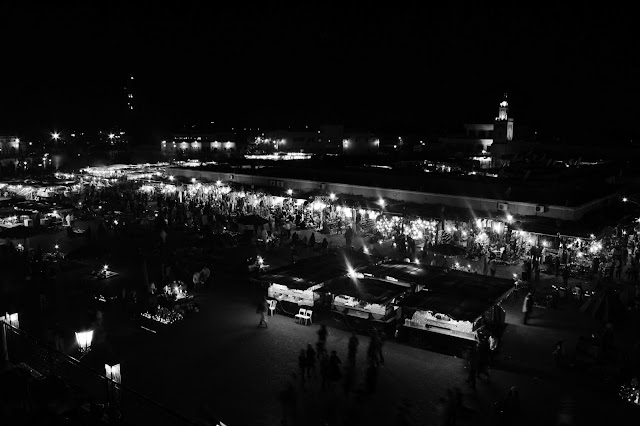 Prices are around 70 dirhams a dish, about the same as in the other mid-range restaurants around the Djemma el Fna. There is a lone apple pie on the dessert menu but nothing for vegans….. however, I thoroughly recommend ordering one of the juices. 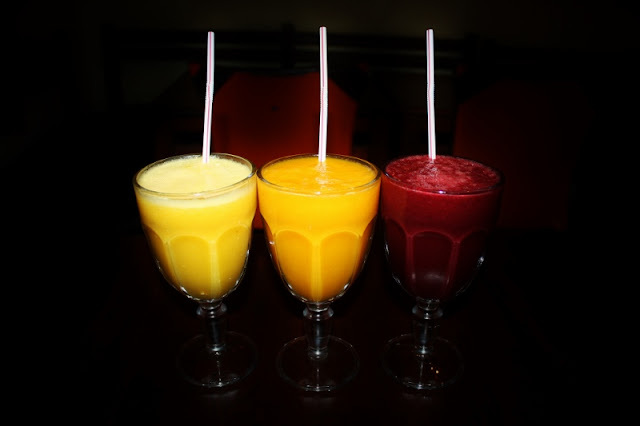 They are freshly squeezed and come with orange, apple, ginger, carrot and beetroot combinations. Apple - I mean, I never saw an apple for sale anywhere in Morocco, so this was super exciting for me! Great post. Also, the sliced oranges sprinkled with cinnamon are wonderful - the ubiquitous desert all over Morocco.